Beaconsfield has been an important area within Britain since it was first recorded in 1185. Since that time it has played host to a number of famous residents, including former British Prime Minister Benjamin Disraeli, author of the Discworld novels Sir Terry Pratchett and noted children's author Enid Blyton. Make the most of your visit by taking your pick from our selection of hotels in Beaconsfield below. Home to a number of cricket, rugby and football clubs, Beaconsfield also lays claim to a number of popular culture boasts, including the fact that Britain's first talking film was recorded at the local film studios, which have more recently become known for being the birthplace of Wallace and Gromit. Found just under 40km outside of London, the town is easily accessible from the capital and within five miles of Slough, High Wycombe and Amersham. 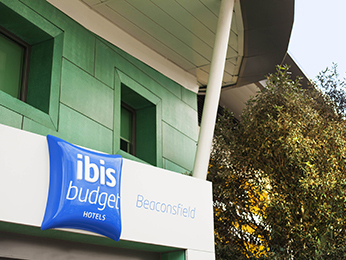 Booking a hotel in Beaconsfield with AccorHotels couldn't be easier. Simply browse our selection of hotels below and choose one that best suits your needs. Booking online with AccorHotels offers a host of benefits, including our Best Price Guarantee and last minute and real-time room availability.